Almost Never Films, Inc. (OTCQB: HLWD), a publicly traded independent film production and finance company based in Los Angeles, California, is teaming with Howard and Karen Baldwin of KEMB PRODUCTIONS, Stuart Benjamin Productions and Nick Cassavetes to develop a scripted television series. Nick Cassavetes will write the pilot that follows the rise and fall of Bruce McNall, a self-made tycoon who not only owned the Los Angeles Kings of the National Hockey League (NHL), but was also heavily involved in the high profile worlds of antiquities, coins, race horses, film and sports. Nick Cassavetes is a world renowned critically acclaimed director and writer of such films as "The Notebook" (starring Ryan Gosling and Rachel McAdams), "Blow" (Starring Johnny Depp and Penelope Cruz), "John Q" (Starring Denzel Washington) and "My Sister's Keeper" (starring Cameron Diaz and Abigail Breslin). 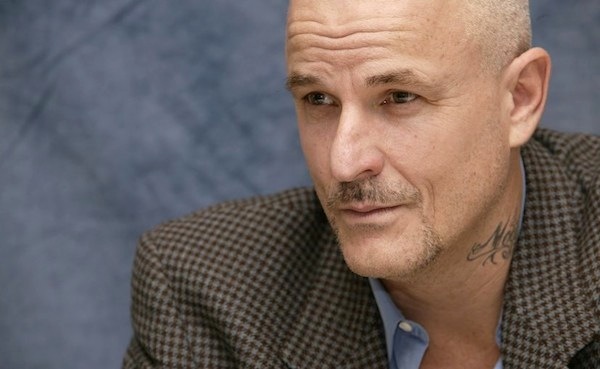 Nick Cassavetes is also attached to direct the television series. KEMB PRODUCTIONS was founded by Howard and Karen Baldwin. They are best known for producing with Stuart Benjamin the Academy Award nominated motion picture "Ray" (starring Jaime Foxx) which was nominated for two Golden Globes (Best Motion Picture and won for Best Performance by an Actor – Comedy or musical) and six Academy Awards (Won for Best Actor in Leading Role, Won for Best Sound Mixing, Best Motion Picture, Best Director, Best Film Editing, and Best Costume Design). The Baldwins have also produced films such as "Mystery Alaska" (starring Russell Crowe), "Sahara" (starring Matthew McConaughey) and "The Game of Their Lives" (starring Gerard Butler). Stuart Benjamin Productions was founded by Stuart Benjamin, who was nominated for an Academy Award for Best Picture in 2005 for the movie "Ray," and won a Grammy for producing the sound track album. Benjamin has executive produced films such as "La Bamba" (starring Lou Diamond Phillips) and "Everybody's All American" (Starring Dennis Quaid and Jessica Lange), as well as "The Long Walk Home," "Mortal Thoughts," and "White Nights." "We are incredibly honored and excited to be working with Nick Cassavetes, the Baldwins and Stuart Benjamin. This is a Walter Mitty true story about a man who lived every man's fantasies. It is so captivating and unbelievable that people will keep asking themselves how it could possibly be true," said Almost Never Films CEO Danny Chan. "There isn't a better story teller in the world to capture Bruce McNall's life than Nick Cassavetes," said Karen Baldwin.